I know. Finding time to train is difficult. By the time you get off work, make the commute home, grab a snack and change your clothes something has come up that is going to delay or even prevent you from getting out the door. 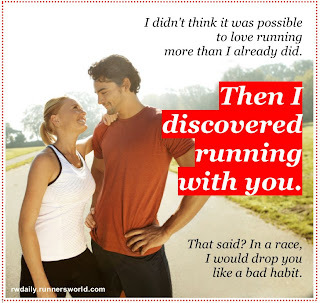 If your spouse is also a runner/athlete then the number of complications just doubled. Have small children? Trippled. And if you have kids that need taken to sports, band and chess club practice, squeezing in that run just got ten times harder. So what's a runner to do? You can't get rid of your spouse. Or your kids for that matter. If you’re like me, getting up a 4am is out of the question. Asking your family to drop everything so they can support your running “career” is probably out of the question too. Taking them with you only works if they're willing or can fit into a jogging stroller and besides that, you're life is busy, that quiet time where it's just you and the sound of your heart pounding in your ears is priceless. I hate to say it friend but it looks like something's gotta give. People ask us all the time, "How do you make it work? How do you guys manage two training schedules with all those kids?" As Chanda covered in her post You Don’t Wanna Know there are a number of household things we do (and don’t do) that help enable us to function as a family of runners but there are a number of things that…um…actually involve training, that also make this possible, often it involves compromise and a little sacrifice but in the long run (pun intended) it’s definitely worth it! OK, this sounds really basic and you’ve heard it said many times but we take planning ahead to another level. See, I’m not talking about making sure you eat well and hydrate before a long run, that you go to bed in your running clothes or that you set your shoes by the front door the night before a morning run. No, I’m talking about synchronizing your calendars. Sit down and look at everyone’s schedules. Put them all in your calendar and then schedule your runs around everyone else’s commitments. Sometimes that may mean running on the treadmill at 10pm rather than your favorite trail at 10am but it sure beats thinking you were going to get that trail run in only to discover that you need to take your son to his chess club tournament thingy instead. Can’t fit in a long run next Saturday? Fear not, training plans are incredibly flexible if you have enough notice. Just because your plan has you doing your long runs on Saturday mornings does not mean that you have to do every long run on Saturday morning. As long as you make sure that you’re not doubling up hard workouts, feel free to rearrange them. Consider swapping Saturday’s long run with Tuesday’s interval training. That way you still get a hard workout in but don’t have to dedicate your entire morning to a long run. Besides, sometimes it’s just nice to mix things up a bit. I’m a trail runner. I like to run in the woods. I love to be out there, on the trails, away from the sounds of people and traffic. Just me, the trees and the animals. Rarely do I feel closer to God than in those moments. But the trails around where I live are only open from dawn to dusk and driving almost an hour to the nearest national park with twenty-four hour trail access isn’t always an option. So I often find myself running along city streets or on my treadmill instead. As a matter of fact, I have a pair of trail shoes that I purchased a couple weeks ago that have yet to see an actual trail. But when faced with choosing between a treadmill run or no run, I choose the treadmill. And I remind myself that I will be better next time I hit the trails because of it. Men, I’m talking to you. 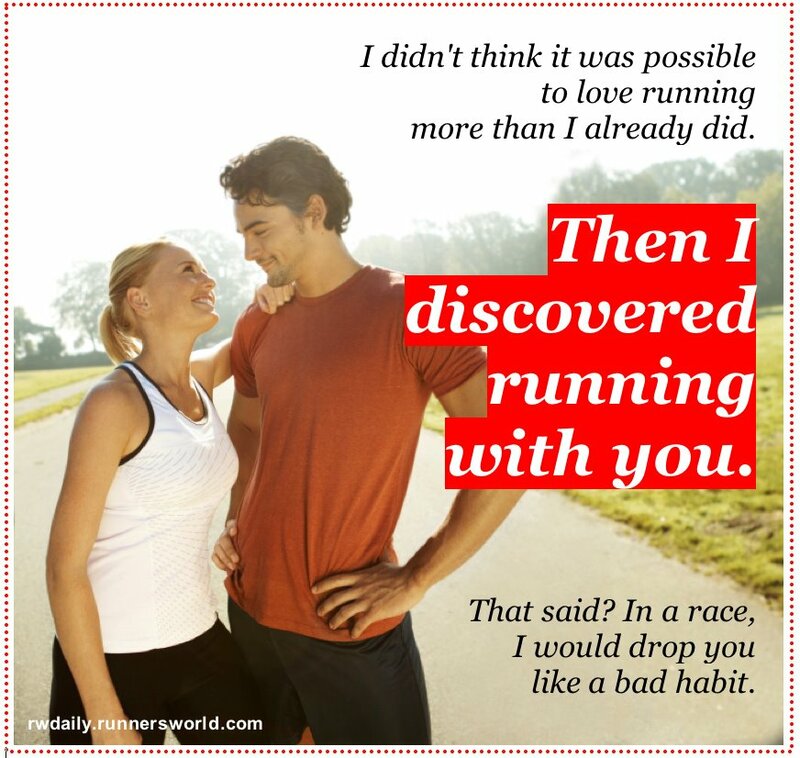 Want your wife to be supportive of your running? Do everything you can to ensure that it does not interfere with hers. If you both need the treadmill at night, offer to let her use it first and do something else (preferably something productive like dishes or laundry) until she’s done. There is a greater chance that she will be supportive the times you really need it if you have gone out of your way to show that her success in training is as important to you as your own. Maybe you’ve been struggling to reconcile running with the rest of your life and you can’t help but think, “something’s gotta give.” Trust me, I understand. Just remember, all is not lost, sometimes a little compromise and preplanning can make all the difference.